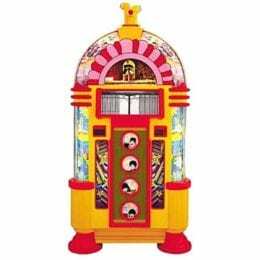 Rock-Ola has achieved the nearly impossible by creating this series of classic jukeboxes utilizing the most sophisticated technology available today. 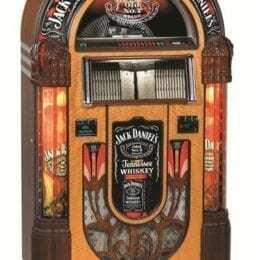 This Rock-Ola Harley Davidson CD-6 Jukebox is a perfect compliment to your game room! 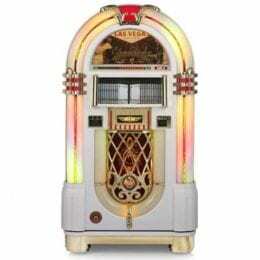 The Rock-Ola American Legend jukebox, licensed by the Harley-Davidson Company, is popular world wide. The American Eagle sets the theme for this iconic HARLEY-DAVIDSON CD 6 Rock-Ola Nostalgic jukebox. It features illuminated custom-screened glass panels, arch lighting and pilasters. 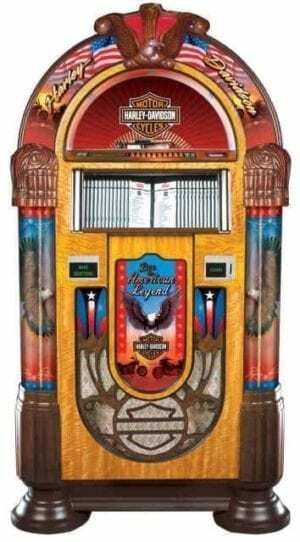 Intricate, expertly finished woodwork and molded accents at shoulder and crown distinguish the Rock-Ola HARLEY-DAVIDSON CD 6 Jukebox from the “rest of the pack”. 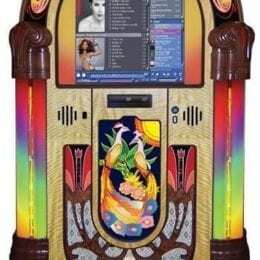 Incredible sound quality with dual stereo amplifier and 5-speaker, dual 3-way system for “Live” performance reproduction.